After years of struggling with infertility, I finally took the first step toward forming my perfect family. I was watching a British sitcom years ago when a line of dialogue rocked me to the core. In the scene a bitter old woman in a nursing home is speaking to her niece, who was about to have a baby. The niece asked her aunt why she never had a family of her own. The old woman replied that she had been denied admission to the most inexclusive club, the club of motherhood. I was living those words. Fast-forward again. I was working for my state’s Department of Health and Human Resources. I called myself the Welfare Warrior. I loved it, at first. We were still trying, but without any outside assistance. Then I got a client who admitted trying to have a baby, even though she was relying on food stamps and Medicaid. Then I had another and another. It was like some divine prank. Almost every day I ran into a woman who worked down the hall. Eventually, I learned her name, and that she worked in Home Finding or Foster/Adopt. I don’t know how many times I’d walked by her office door before I stopped in one day and asked, “When is your next class for people who want to foster and adopt?” Without consulting my better half, I signed us up. That is the best decision I have ever made, aside from choosing to marry my husband. Life is not without its twisted irony, though. At the time my stepfather was losing his fight with colon cancer. My mother had been his constant companion through many journeys, and we were all trying to be with him in these last days. During all of the chaos surrounding this wretched illness, one Saturday he noticed that my husband and I were not at our foster/adopt class. That was the first and only nod we got from him, his way of telling us to keep pursuing our dream of having a family. He passed away late one Friday night, and the next morning we were at our class, just as he would have wanted. About a month after we’d completed our homestudy, we got a call about an emergency placement for a 24-month-old African-American boy. I stuttered and said I would have to talk to my husband. I was numb. My husband said, “Why not? It is what we have been waiting for, right?” That was all it took. This little old man in the body of a chubby, brown boy arrived at our door on a Friday. He came with a Lightning McQueen blanket, a snack, and the clothes on his back. He toddled into our home and, as he looked around, his first words were, “Oh, wow!” That was the moment I knew I had met my son. 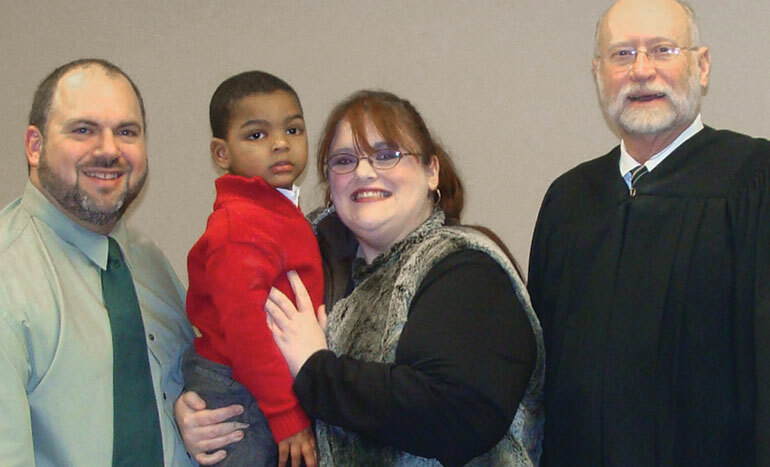 A callous foster care system deprived her of parents and ..